Emojis are fun and easy to create. Kids always like to draw emojis. There are many ways to draw emojis. we provide step by step tutorial of emojis on this website. You can visit this website How to Draw Emojis in the best way. With the heights in social media networking the use of phone calls and posts has almost vanished. Today we mostly prefer to chat online for any communication with our family or friends instead of calling them. The most beautiful feature that we use while chatting is emoji. I am sure that you are already aware from this word as we all use these lots of emoji to express our feelings. There are more than 100+ emoji available in android, iphones or even in desktop chatting taking from the smileys ☺️ to the cry face 😭. 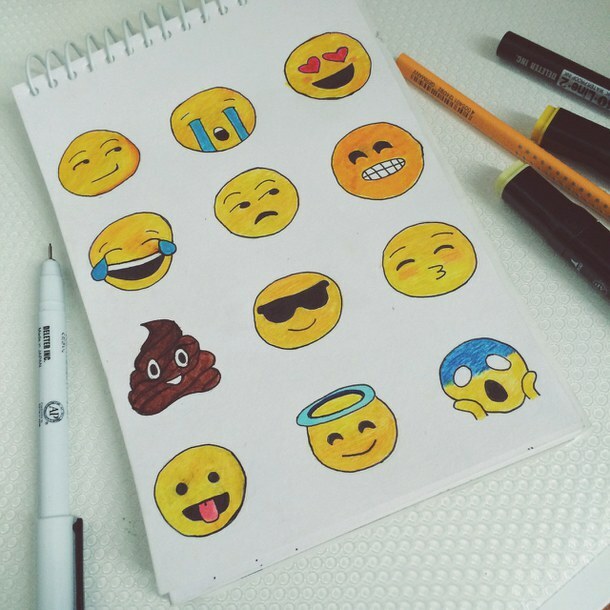 There are still many people who are implicating the use of these emojis in their practical life and loves to draw different kinds of them in their notebooks, drawing files or in desktop painting for different purposes. If you are also one who love emojis and want to learn different type of emojis then you are at correct place. 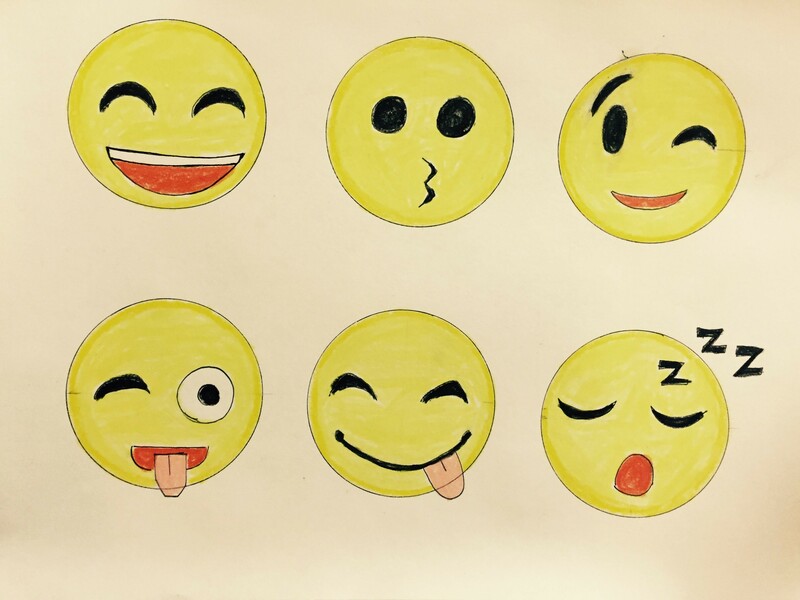 Today we are here going to tell you how to draw different emojis with a stepwise easy guide. In this heading we are going to learn how to draw a single emoji, by following the same method you can also draw the other emojis too. Step 1: At first you have to draw a simple circle for creating your emoji. Step 2: After this we are going to create the eyes as per the style of emoji you want to draw. Step 3: Next, after completing the procedure of eyes we will went to the mouth of emoji. Draw a mouth accordingly. Step 4: At last, give an outline to finish your drawing as shown in the below images. There is nothing much tough in drawing an emoji, you can simply go with drawing one by just making outlines and following the basic guidelines. If you want to draw an emoji then your first step is to make a normal circle with any extra strokes. After completing eyes pattern you will move forward to the mouth which quite a congested part of emoji. 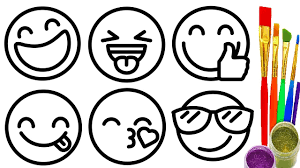 Each emoji has different type of mouth structure you need to follow the same. Like a smiley one has wide open mouth 😄, while the blinking emoji has a small smiling mouth 😉. Similarly you can draw different mouths for different emojis. At last you just need to add final texture to your emoji by giving them appropriate color which they possess. Most of the emoji are yellow in color while some also have red color. You can add strokes as per your choice. 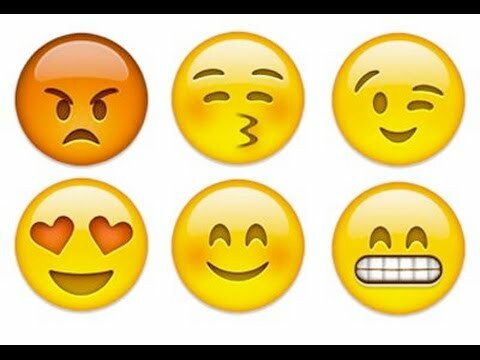 Cute emojis are those which are smiling, kissing or have blinking face. These types of emojis are mostly used to express the feeling of love and joy. 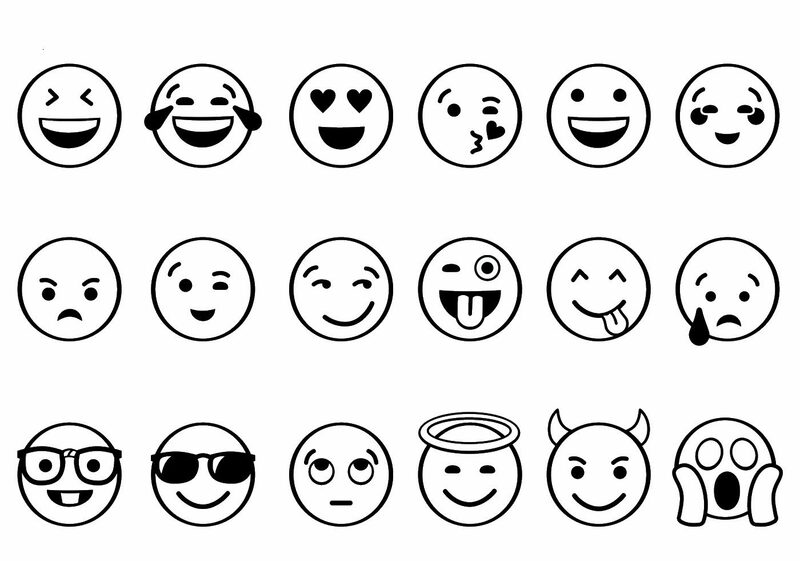 You can draw any emoji of your choice by following the same method as described above. Whether you want to color your emoji or not it all depends on your choice. Step 1: First you have to draw a straight horizontal line. Then draw a C like structure on both corners. Step 2: After it on the same C structure you need to draw additional Cs at top of previous ones. Step 3: Next, you need to draw a skinny S like structure on the top of left side. After it make a curved line joining the S.
Step 4: After this we are going to draw two small circles in the middle of emoji for its eyes. To complete the structure of eyes draw another small circles inside the big circles. Step 5: Now, you have to draw a small curved mouth with some blushing cheeks. 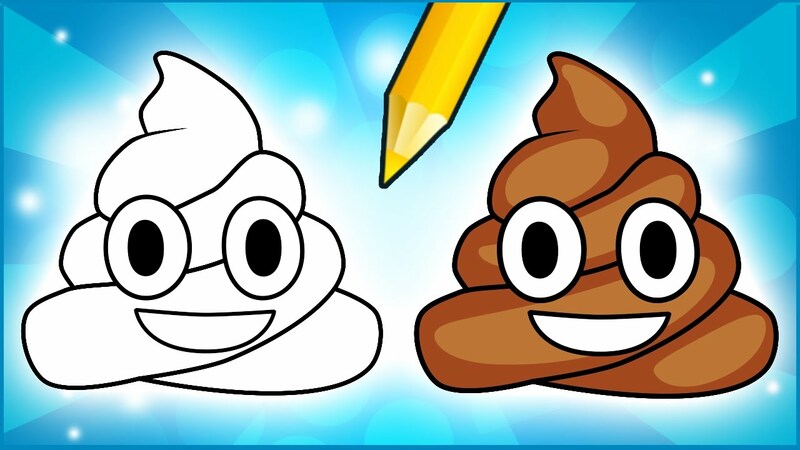 At last give additional strokes to complete your emoji and give it a proper coloring. It is quite easy and simple to draw emoji on a paper. You can simply follow the above guidelines of drawing different emojis. 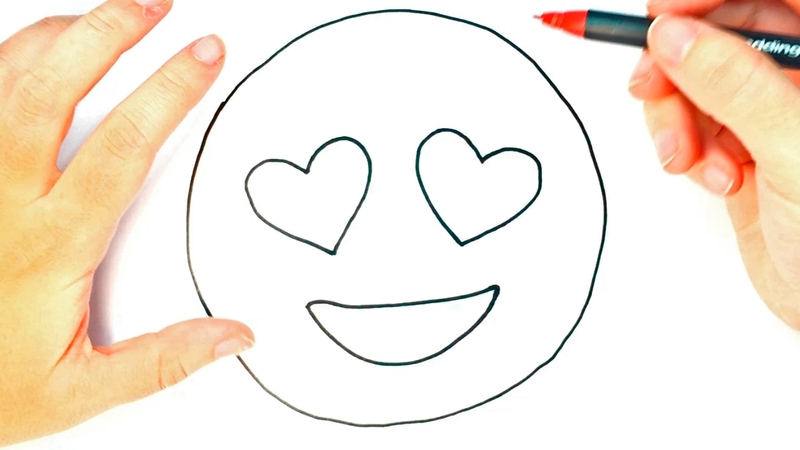 You can create a beautiful emoji graph on the paper sheet by coloring them beautifully. Step 1: First draw a small circle for the eye of unicorn and then above the eyes draw a shape like A then from the point of this shape draw another line. Next, draw few banana shaped structures arising from the bottom of ear. Step 2: After drawing hairs we are going to draw a triangle like structure at the top and then point the pen at half point of the hair and then draw a long slant triangle for the unicorn horn. Step 3: After completing the structure of horn we are going to draw the nose of unicorn. Draw curved lines for making the nose and neck of the unicorn. Then make a bean shaped nose of the unicorn. Step 4: Next, from the middle till neck draw a S like structure after that move towards the ear of unicorn and make the banana like shaped structures in the way as unicorn hairs are in the emoji. 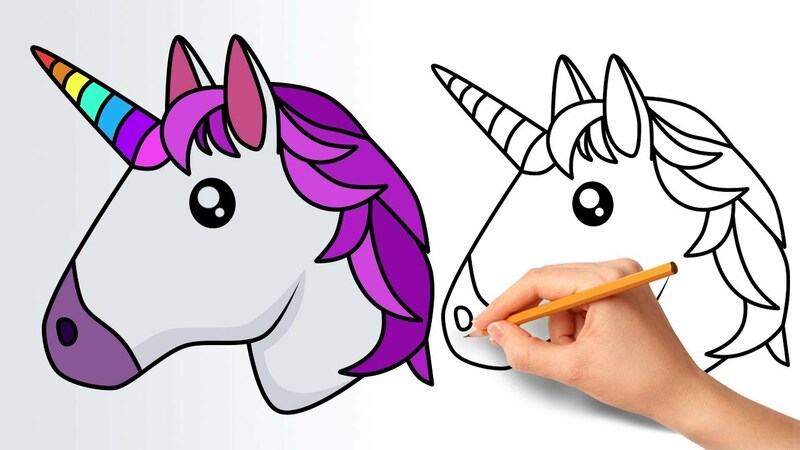 By following this pattern you will be all done and your unicorn is ready you can color it for making it more beautiful. Emojis are one of the best way to show your feelings on chat. You can draw emojis pictures by simply starting it with a circle following by the eyes and then mouth. It is one of the beautiful and cute emoji. You can follow below steps to draw it. Step 1: First make a circle. Then draw two heart shaped eyes. Step 2: In the next step, you have to draw a smiling mouth. For it first make a C shaped structure then join both corners with a slight curve. Step 3: Your emoji is ready, you can colour it for additional effects.